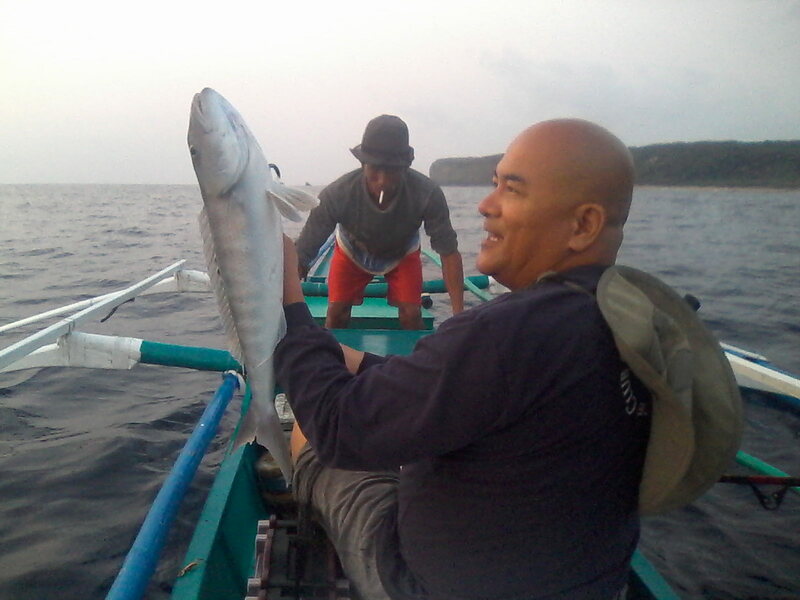 The Green Jobfish belongs to the family of Jobfish and Snapper and is common around the Philippine Islands. This fish is a predator feeding on small fish, squid and anything else that it can catch around reefs. The can be found quite deep however it is also common to catch these fish on shallow reefs. 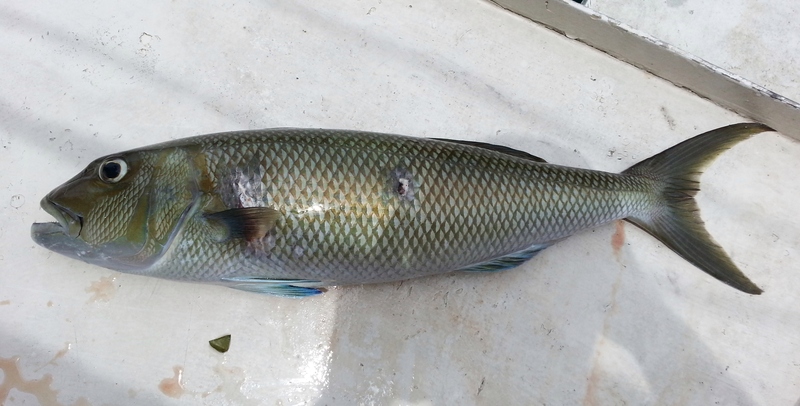 These fish have thick torpedo shaped bodies with a white flaky flesh. It has a slight fishy smell and taste making it less desirable than its relative Snapper species, but delicious enough to be considered good table fare. Green Jobfish are easy to identify because of their olive green color with blue highlights along with their neatly printed large scales. 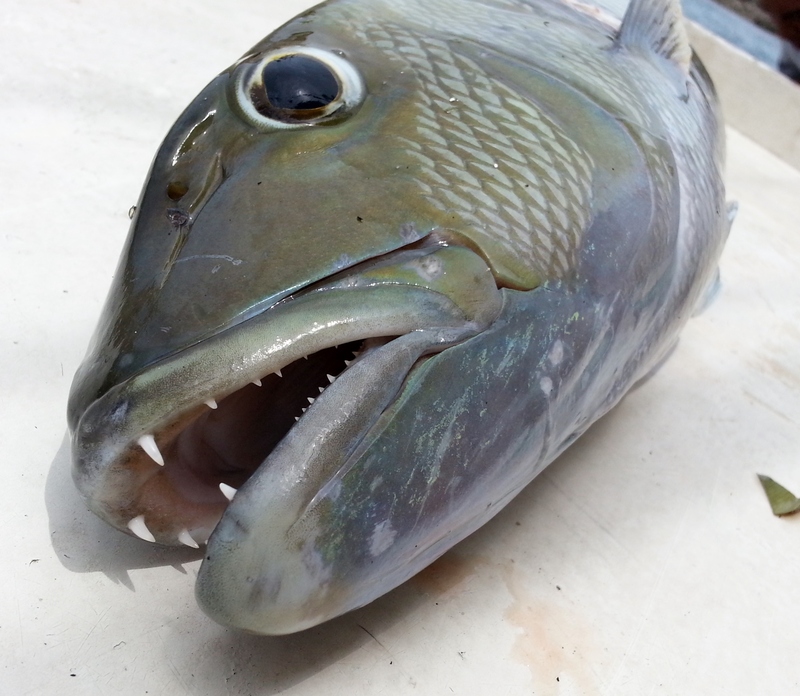 Jobfish are often taken bottom fishing, jigging and also spearfishing. As seen below in one of the pictures, they can also be occasionally taken trolling in shallower water. Rod’s Jobfish caught while trolling! 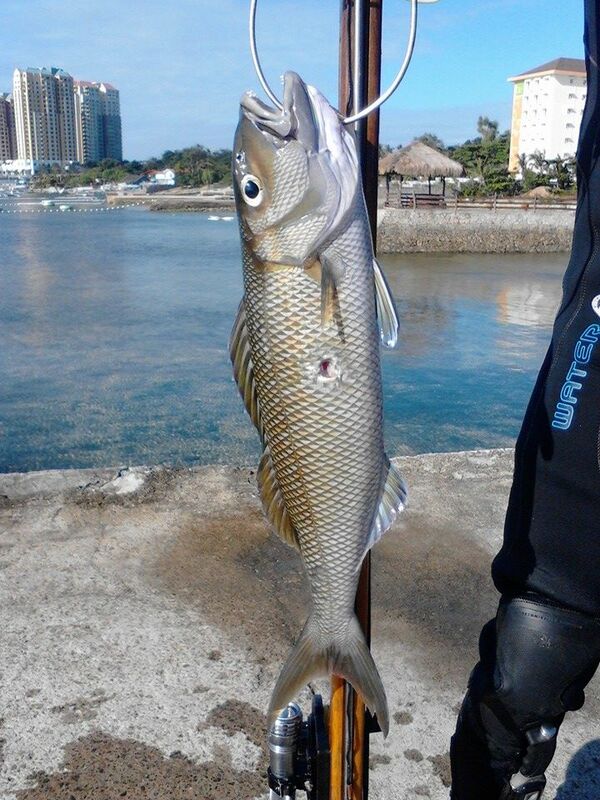 Posted on February 6, 2014, in Jobfish (Maya Maya), Snapper (Maya Maya). Bookmark the permalink. 1 Comment.